Before I explain this section, please note that I moved my favorite charities to a separate charities page, to give them better visibility instead of where they were buried on this page. Please visit that page to learn about really important work that all those incredible people are doing–and simple ways you can help. One of the most important things to me is to give as much as I can. I know that sometimes the world can seem like a dark place; hectic and trying and angry and painful. But I personally believe that there’s a lot of good in the world; that for every dark cloud there can somewhere be a silver lining; and that as much as possible we should try to focus on the positive, or at least bring positive into the world to balance out the negative. I want my site to feel welcoming to everyone. And I want you to feel like there’s a safe place for you to go if there’s ever a day that feels too overwhelming to you. Here, you can sit and decompress and relax for a second. On this page, I’ve compiled a number of things that I love or find to be beautiful or calming; videos, quotes on my walls… Know that none of these links are affiliates of mine in any way, and I have not spoken to them about linking them. I simply want to share the love. 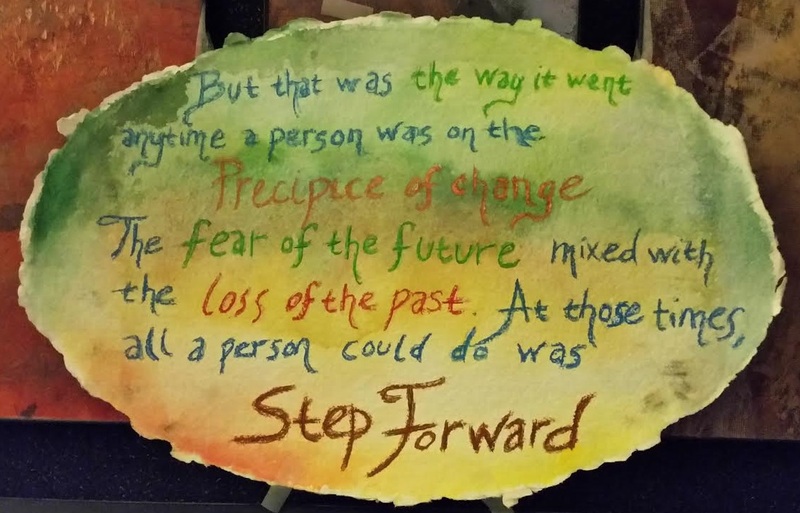 I’ve also included a post I wrote years ago that I hope can make you feel better if you feel alienated or lost. If it’s of use, please use this page as a place to refocus, unwind, and not have to think about anything bad. As such, the first thing on here is a breathtaking, calming video about how beautiful the world is. If anything on this page is triggering to you, let me know so I can reassess and see if it’s something I need to remove from the page or, if I feel strongly about keeping it, move it to the bottom below warnings. 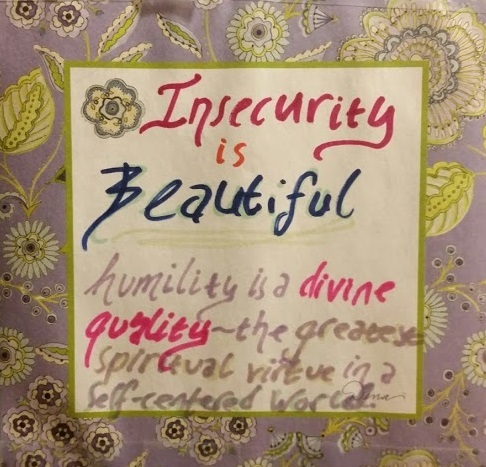 I’ve put some of these phrases/quotes on merchandise I made at my society6 page. I only did so with quotes I’ve written, so I wasn’t infringing on anyone’s copyright. You are beautiful. You are handsome. You are a good person. You are and can be loved. You deserve to be. You deserve good things. You deserve happiness as much as anyone else. I don’t care what your ancestry is or where you live, I don’t care what your body shape is or whether you meet the impossible ideals that may be set forth by your society. I don’t care if the gender you identify with matches the gender you were born with. I don’t care if you’re asexual, homosexual, bisexual, heterosexual, or any other variation beyond. I don’t care what you believe politically, religiously, culturally, or whether you don’t believe anything at all. I don’t care because all I need to know is that you’re there. 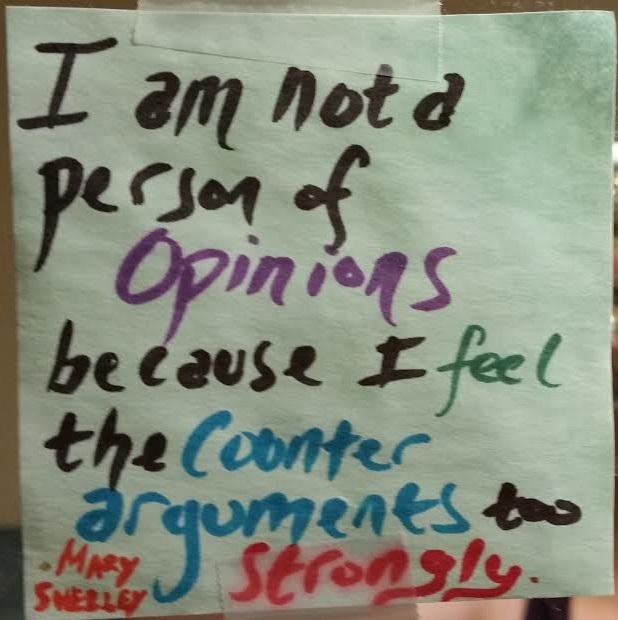 This was a line that was on items in the gift shop in the United States Holocaust Memorial Museum, and it struck me very deeply. Particularly after having explored the museum, and thinking about everything that I had seen. I think I already tried to live my life doing the right thing wherever possible, but this is something I specifically think about now. 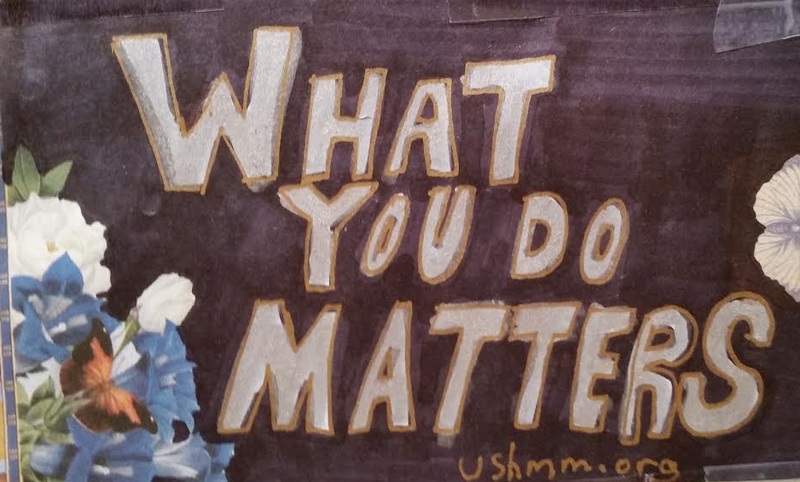 What you do matters: for good or for bad. 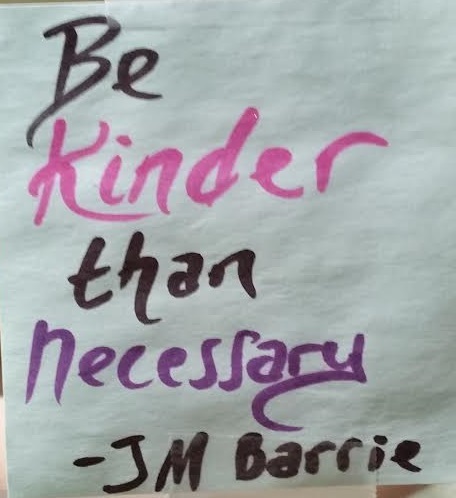 So even if you feel voiceless, even if you feel like your one small action is meaningless, even if you think doing nothing is acceptable–what you do matters. Always remember that, and try to do the right thing knowing that. If I can make a joke of it then it isn’t controlling me. It’s lost its hold. 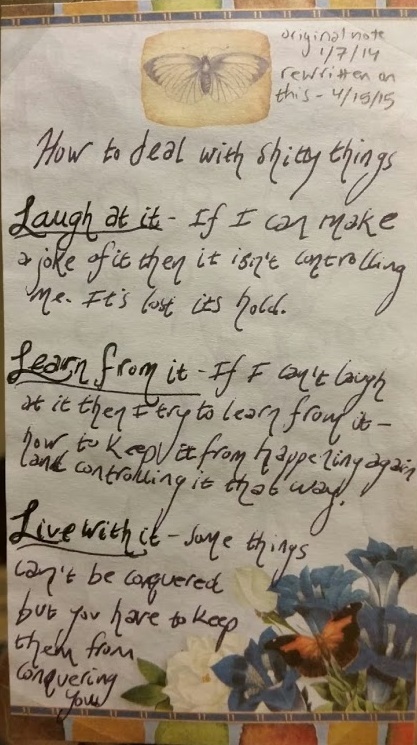 If I can’t laugh at it then I try to learn from it – how to keep it from happening again and controlling it that way. Some things can’t be conquered but you have to keep them from conquering you. This is a line from a response I gave to a tumblr ask about whether or not I consider myself to be a feminist. You can read the full answer here. This particular quote is me talking about my general belief system. After I posted that answer, a tumblr friend said they really liked that line so I thought about remembering it for later. 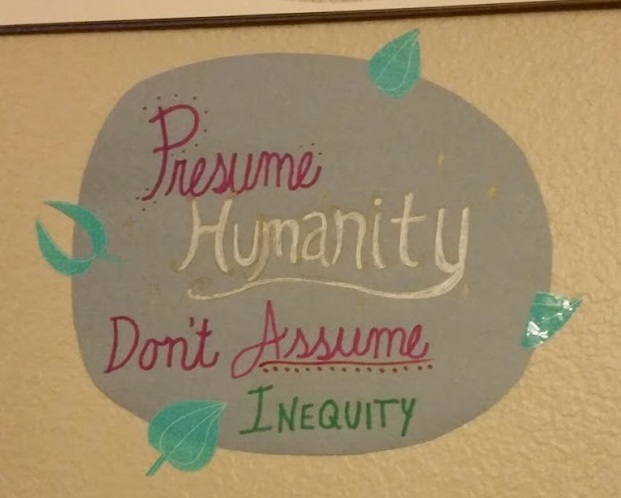 I like to put words on my walls that I feel are good reminders. 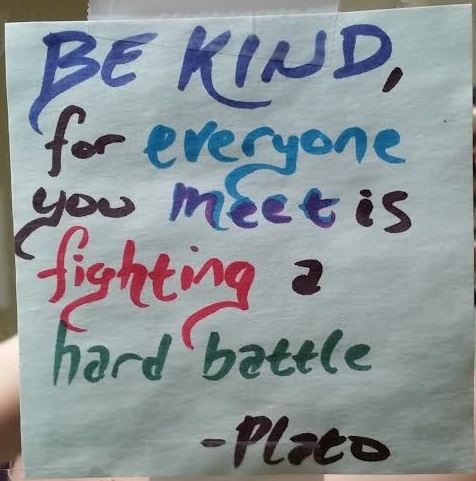 I thought this would be a good one to keep in mind, so I drew this on some construction paper and used some washi tape to put it up in my living room. 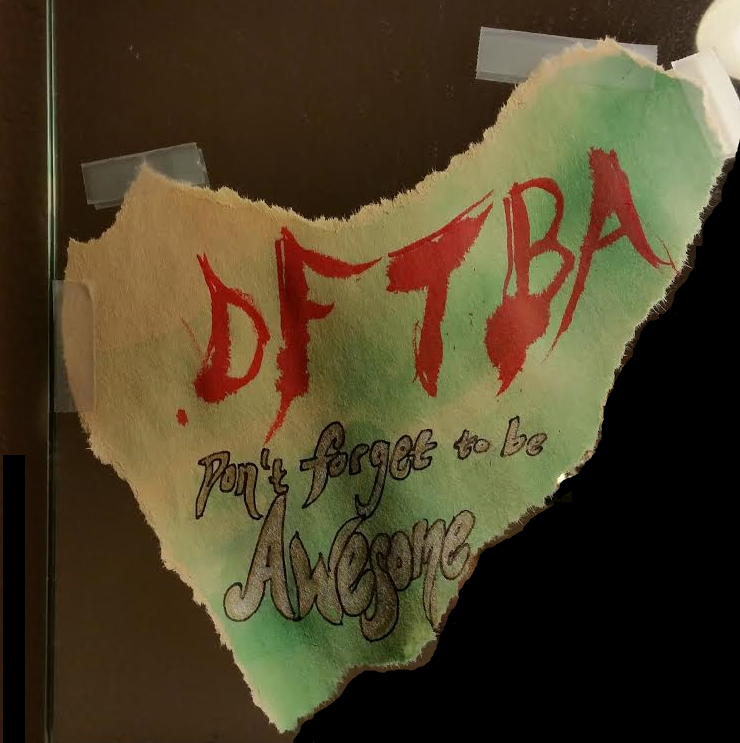 It’s on the opposite wall from the Fade quote. Charity: water is one of my favorite charities. They work on building sustainable clean water sources in areas around the world where the communities otherwise do not have easy access to clean water. 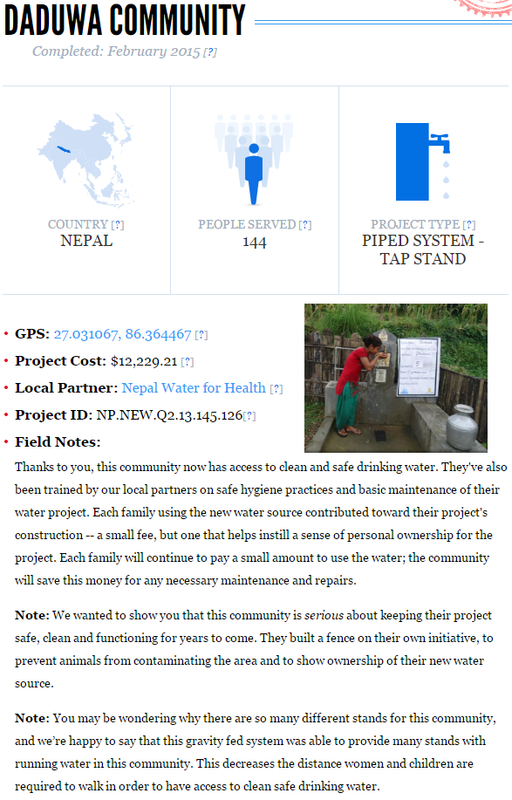 What I love about charity: water includes: they let you donate your birthday to create a campaign where all money collected joins other campaigns to fund a project, they tell you the progress on that project and show you not only pictures but also GPS coordinates of where it was built, they keep you updated over the years it takes to build it, and 100% of donations go straight to these projects because private donations fund the overhead. I’ve donated 2 of my birthdays so far for charity: water. You can see the finalized campaign information on Nepal, as well as the latest update I have on the other campaign (update was from April 2016, for the Ethiopia project). I will most likely continue to donate birthdays into the future as well. I wanted to bring this charity to your attention on this page as well as on my charities page, so you can see the good that can be done in the world when we come together on a united goal. 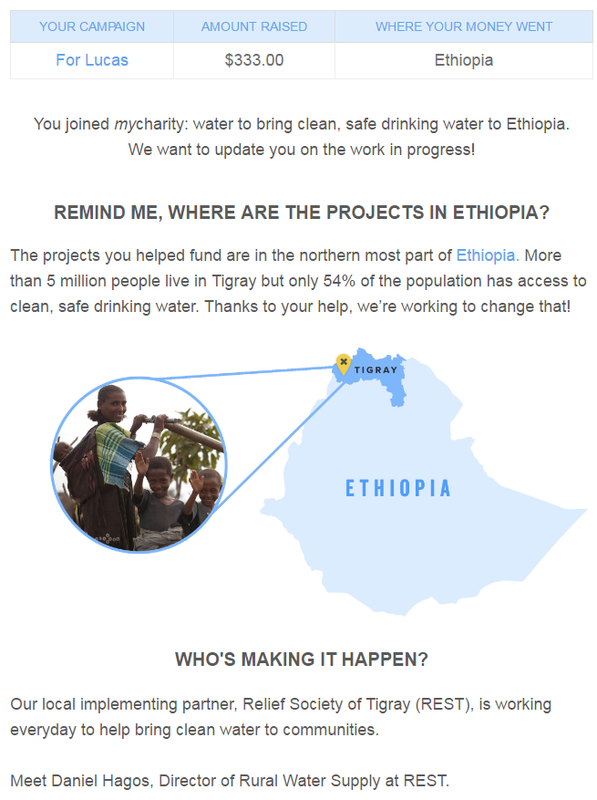 Find more about my charity: water on my favorite charities page. Speaking of charity campaigns where many of us together can make an incredible, positive impact on the world, for 2016 Project for Awesome we raised over $2 million for charities! Find more about P4A on my favorite charities page. These videos are from September 2015, which I’m keeping on my site even now because those goals are for 15 years, and I think it’s nice to know about them if you haven’t heard of them in the past. This is about the Global Goals (globalgoals.org) – 17 goals for the next 15 years that every country on Earth, every person on Earth, should try to get behind. Something I like about John’s video on this is that he gets into the numbers of how much positive progress we had globally in the 25 years at that time since 1990; the sort of numbers and good news it’s easy to forget about if you pay attention only to the negative news in the world. For this page on my site, I thought it would be nice to see there’s progress, positive progress, when we call come together for a goal.